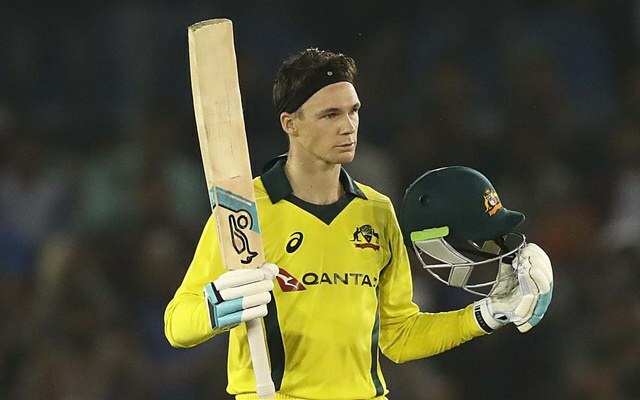 Handscomb was brilliant during the India tour but was unfortunate to miss out. Australia, on Monday, announced their 15-man squad for the upcoming World Cup in England and Wales. The spotlight was on the selectors as to whether they will pick Steve Smith and David Warner whose ban ended on March 29 and are currently plying their trades in the Indian Premier League (IPL). The duo is well and firmly back in the set up now but the likes of Peter Handscomb and Josh Hazlewood were left out. One can understand that Hazlewood has been given more time to recover for the Ashes which follows the World Cup. But Handscomb was in great form and was the vital cog of the Australian team during their recent tours of India and UAE. Batting in the middle-order, the right-handed batsman tackled spin very well and rather dominated the likes of Kuldeep Yadav and Yuzvendra Chahal who have toppled the line-ups in the past. Australia whitewashed Pakistan in the UAE recently and though it was more due to their top order’s performance, Peter Handscomb didn’t disappoint whenever he got the opportunity. In four innings which he played, Handscomb went on to score 92 runs at an average of 30.67 and a strike-rate of 107. However, it was the India series where Handscomb brought his best performance to the fore. He was the third highest run-getter in the series with 236 runs to his name in five matches at an impeccable average of 47.20 and a more than decent strike-rate of 92. Along with his batting credentials, the 27-year-old is a gun fielder as well and it seems that the return of Smith and Warner has hampered his chances. But he will surely be in the reserves to replace someone in case one of the batsmen gets injured during or ahead of the World Cup. Twitterati felt bad for Handscomb after he was left out of the squad as many felt he deserved to play in the quadrennial event. Also, no Handscomb is a scam. Especially, losing his place to alex Carey, the one Aussie who hasn't performed at all. I wonder whose nudes in the selection committee does Carey have with him.